Opened in emporium, then at chadstone shopping centre. Every time I go to chadstone, there’s always a line. Since the emporium location opened first, there was less of a queue. New Shanghai emporium has become me and J’s favourite spot for weekly Friday night dinners. It’s reasonably priced and absolutely delicious. The quality and taste is very consistent. Service is quick – reconfirms your order all the time. Decor suits the antique Chinese theme with wooden tables and chairs. Caters for large families with infants and children. 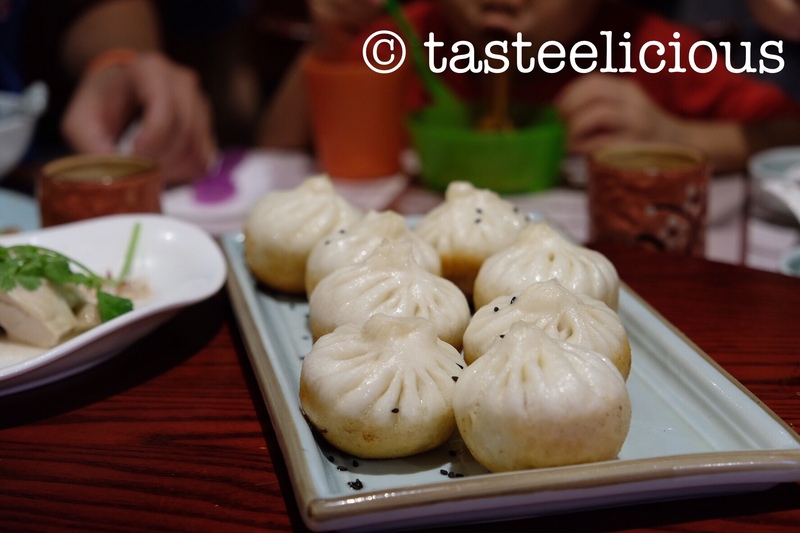 Xiao long bao – pork juice held by the thin dumpling skin, steamed super hot. All it’s missing is the traditional ginger in vinegar sauce! Fried pork buns – fluffy dough and hot and juicy inside. Steamed prawn dumpling with peanut and chilli oil. Love the texture of the peanut sauce with the soya chilly sauce. The cucumber makes it refreshing. I’m not a fan of the heat so I usually ask the kitchen to separate the chilli sauce. All my friends love it with the chilli sauce! Drunken chicken is good, it’s chicken is nice and tender and soaked with alcohol. Shanghai fried noodles are more oily than other places. Their noodles long but round. Not over the top in Shanghai sauce like what other do. Their jasmine tea is my go to tea, and mum has given it’s rock of approval too. Very strong in jasmine but can always have more of it! – Fried pork dumpling is good but for some reason we always gravitate to xiao long bao and fried pork bun amongst the two of our bellies.